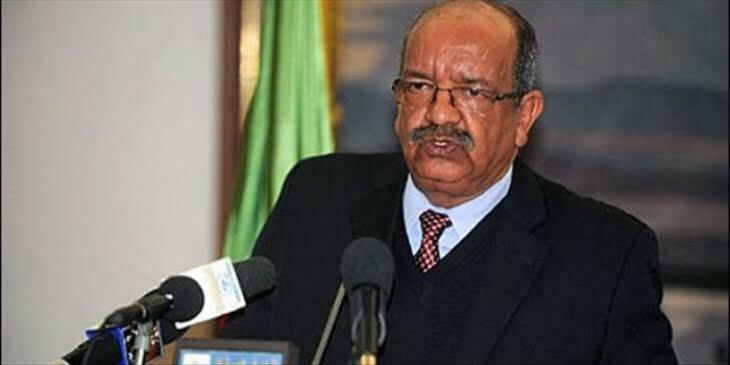 Lamamra said that Algeria is equidistant between the Polisario Front and Morocco, insisting that it is up to the UN exclusively to resolve the conflict and that it is up to both belligerents (Morocco and Polisario) to abide by the UN various resolutions. He even stated that “Algeria is neither for nor against the autonomy plan proposed by Morocco” as a solution to the regional conflict. Even Amar Saadani, the secretary general of the FLN, the ruling party chaired by Abdelaziz Bouteflika, seems to have distanced himself from the Polisario Front which is contesting Morocco’s sovereignty over its southern provinces. Saadani, who is close to Said Bouteflika, brother of the Algerian President, “called for reconsidering the issue.” He did not elaborate on the topic but said he does not wish to cause any problems, but a day will come when he will say what he thinks of Western Sahara. Following his statement, the FLN secretary general suffered a barrage of criticism from the media close to Algerian generals, from Polisario leaders and from some Algerian politicians opposed to any rapprochement with the Moroccan monarchy. The question that remains posed is whether Messahel will one day opt for the neutrality that most Algerian leaders proclaim publicly, or if he will continue to play the game of the Algerian military oligarchy which benefits most of the status quo.